from her you were taken the soil you and to soil shall you return. To understand the content of these three verses requires that you understand the context of the sentences. I will get to verse 20 at the last to show you a transition of context and content. There were only two directions in the days of the ancients, East to the West and they read from the right to the left. 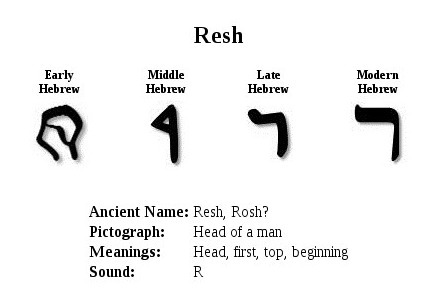 What you are seeing is the English translations of the ancient Semitic/Hebrew pictographs like the Resh which means mans brain the top of him. 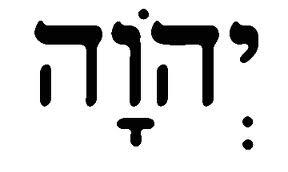 If it caught your eye even the face of man is pointed to the left with a line through it , Early Hebrew. In the present tense I am talking to you the man, 3/17/2019, (you listened to [voice of woman]– of – you) >>You gained knowledge of the Seeds of good and evil from the Tree of Good and Evil. Evil is the weaker seed hence the voice of the woman. The stronger seed of the Tree of Good and Evil is as Aluraing as it sounds is to Be Nice to your wife because she has only one seed the Tree of Life. Before you get on your soapbox that I am talking about a physical woman you missed the point of trees, seeds and fruit. I interpret in the Spirit of the Word not the flesh of your Words. I instructed you……Now you have a second person showing up in the sentence telling you I told you not to eat from the seeds of good and evil from him that is being that is being cursed. Him is the third person showing up in the sentence. If you say satan is the him you are way off base it takes a lot of words to get to satan. Woman has not been named yet in these verses or the verses ascending to the very first sentence in Gen. She was already here. So in the verse 18 and 19 when it refers to she that is referring to the seed of evil that has sprouted within you. It is not talking about the woman in the physical realm for she has not been named yet. Only the seed(s) of the Tree of Good and Evil and the seed of the Tree of Life. You grew into a Tree of Evil because you listened to him is an authoritative figure that you listen to. Either in the physical realm or the spiritual realm the seeds within you. You have a basket of seeds within your flesh and you taught the women and children to sin. You made evil into your god to rule others when I instructed you not to. You will return to the soil from where you came from because you ate from her the seed of evil from the Tree of Good and Evil. When it says , you shall eat her, common sense tells me that I am not going to eat a real woman. However since she is the seed of the Tree of Life from God, I can eat from the fruits of her, Tree of Life and learn about who God is looking back at me through her dark eyes. If you have seen me then you have seen the Father. Woman was in the Garden of Eden before me , she saw me before I opened my eyes and became like one of us. Reading from the right to the left, the first image is woman of one seed the middle picture is God with the Cross underneath it to the left is man. What this means is that the Salvation of Man rests with the seed of God the Woman the mother of all living one the helpmeet of God the cherubim that guards life. It is the Nature of Women to guard their children’s life with their own. Men have a tendency to kill their own and others around them because they lost their nature when they ate the seeds of evil. Yahweh, God ,the Woman always sits to the right of man’s salvation and redemption she is a spiritual being men were born dead and have to have life breathed into us. Like jumping a dead car battery to get your car moving again. In the Laws of Relativity the 4th Law scientists theorize that Time and Space can become stationary, compressed to a singular point. The past is your present not your future, your future comes from your past. So in that respect the past and present are at a singular point in your presence. The 4th Law of Relativity that time is stationary in the present the early Hebrews with pictures proved that thousands of years ago and no one has yet to disprove it . Reading from the right to the left, the Woman sits on the right side of man unless the man teaches the woman and her children to sit somewhere else. Woman was built for the human by the hands of God for man to serve her and together they serve one God. She was made from the bones of God not from the bones of man. Men teach bones >> in the tabernacles >> Serpents of the Pharaohs>> oppression >> to subjugate everyone to the tabernacles of man. Seeing is believing.